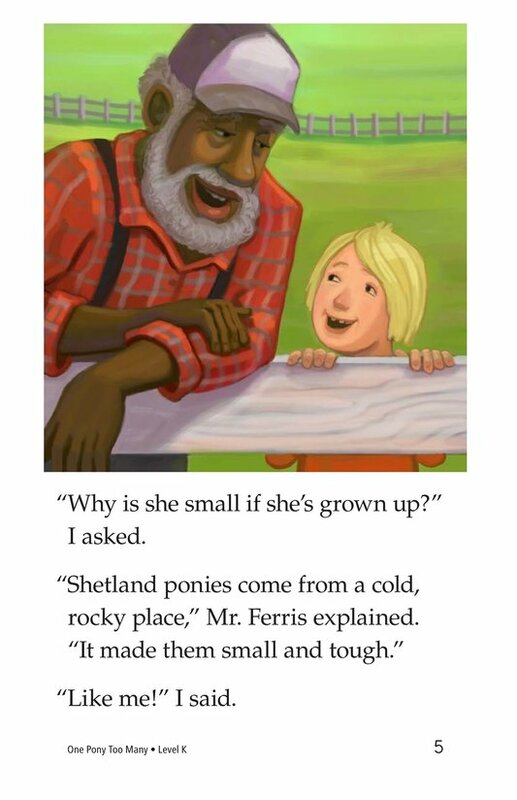 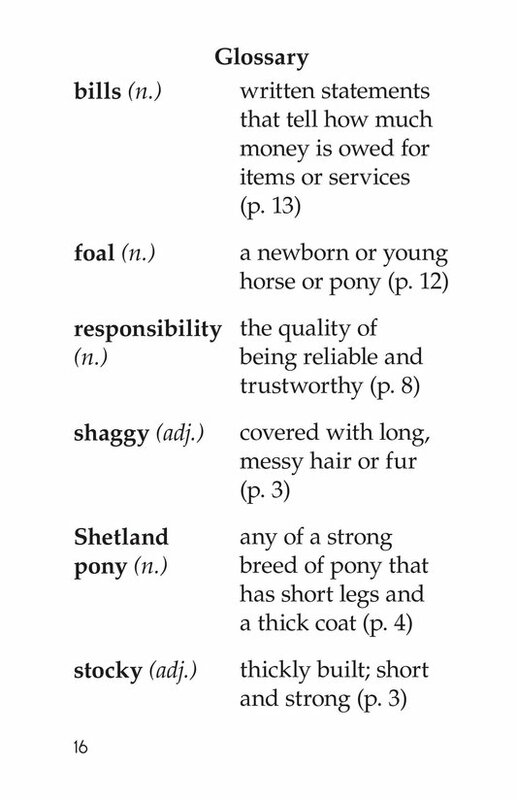 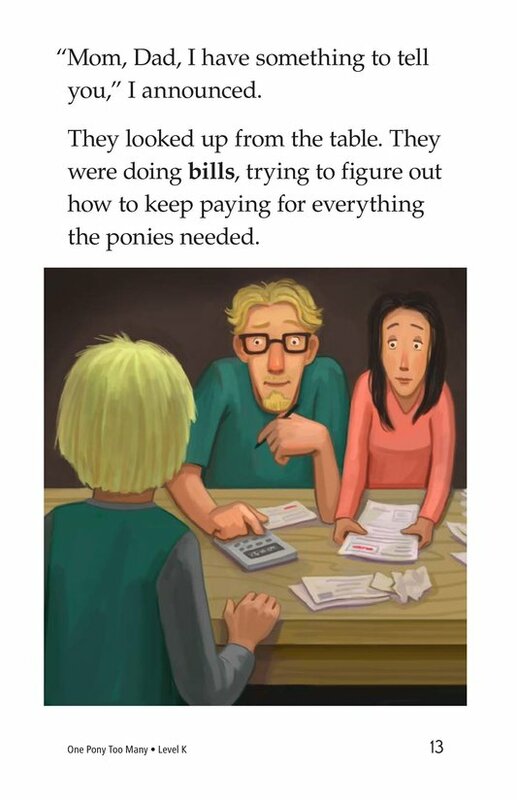 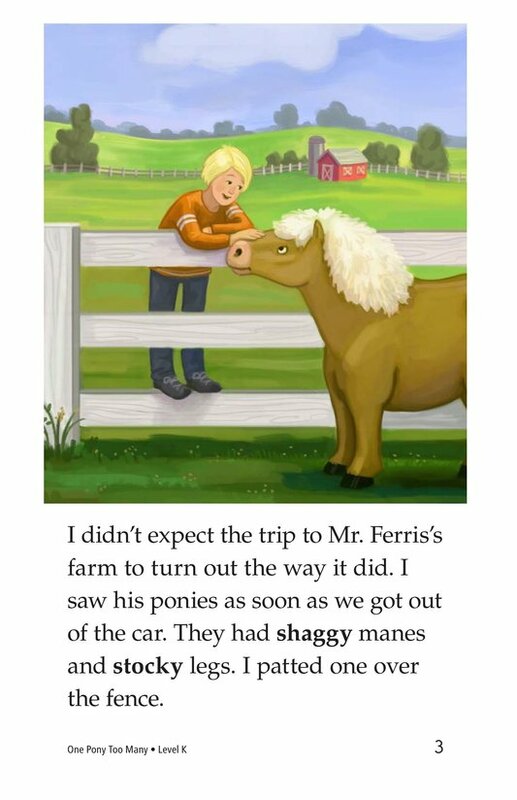 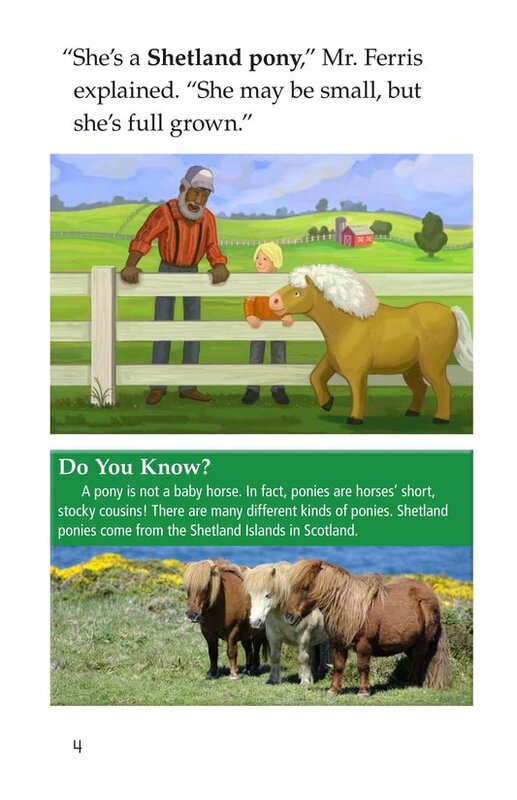 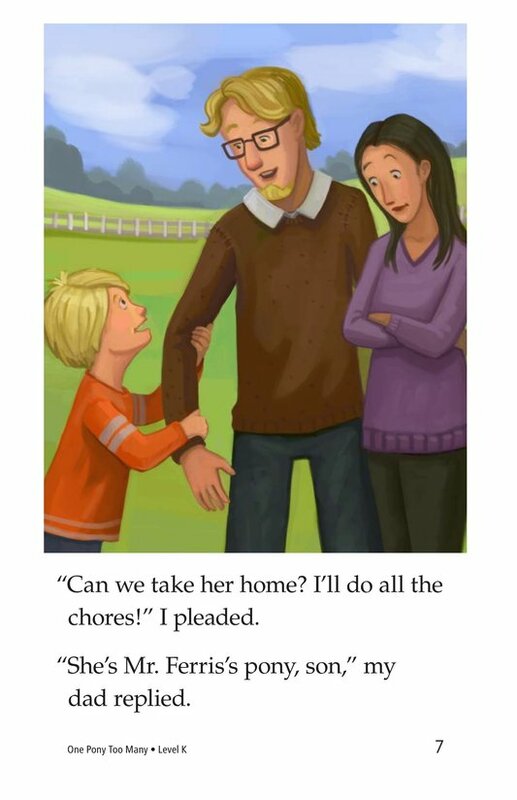 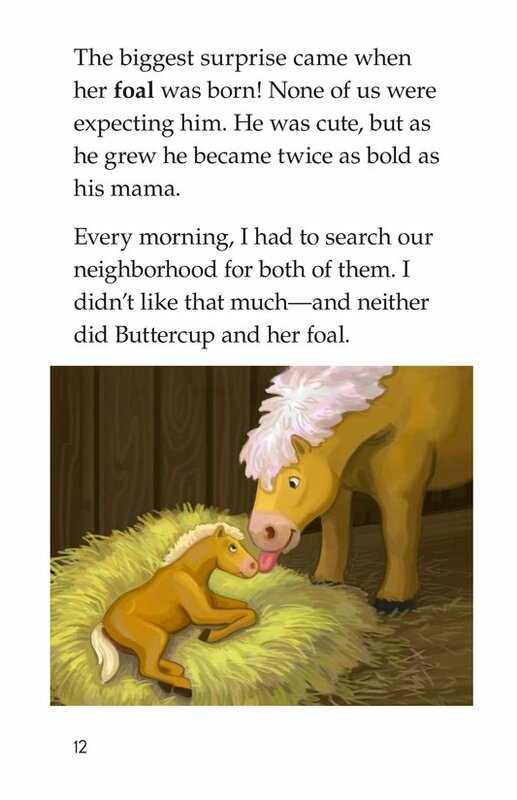 When a boy and his parents are gifted Buttercup, a Shetland pony, they are in for a few surprises and more work than they could have anticipated. 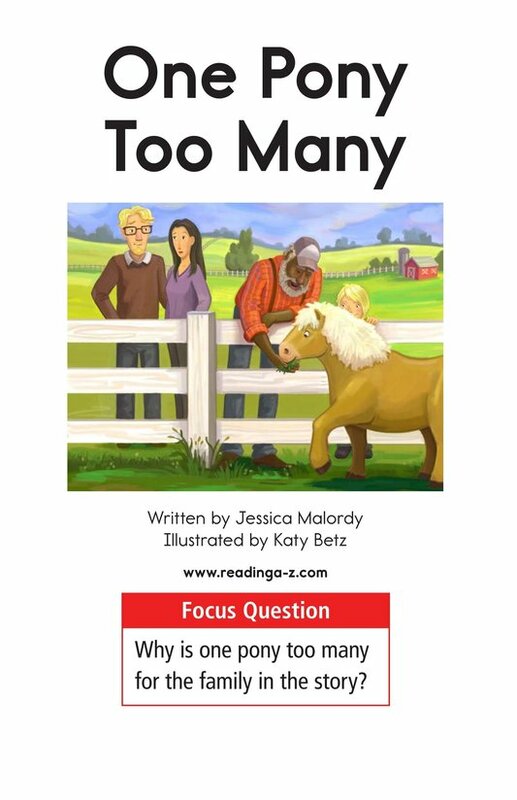 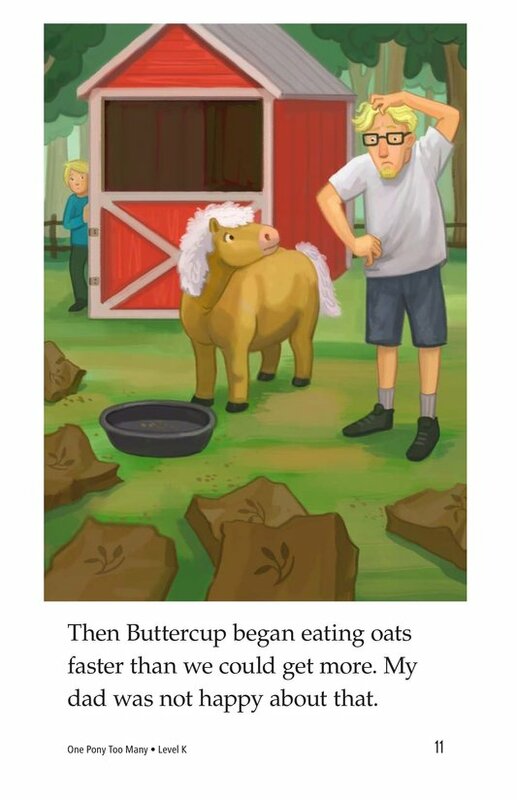 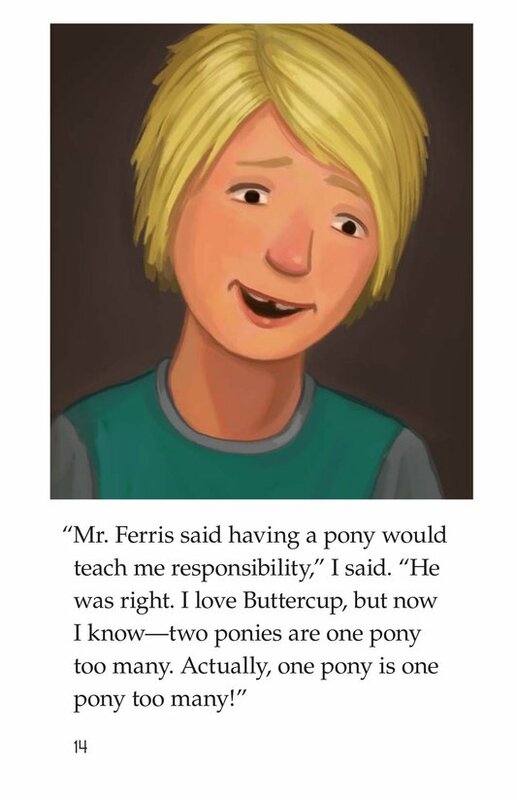 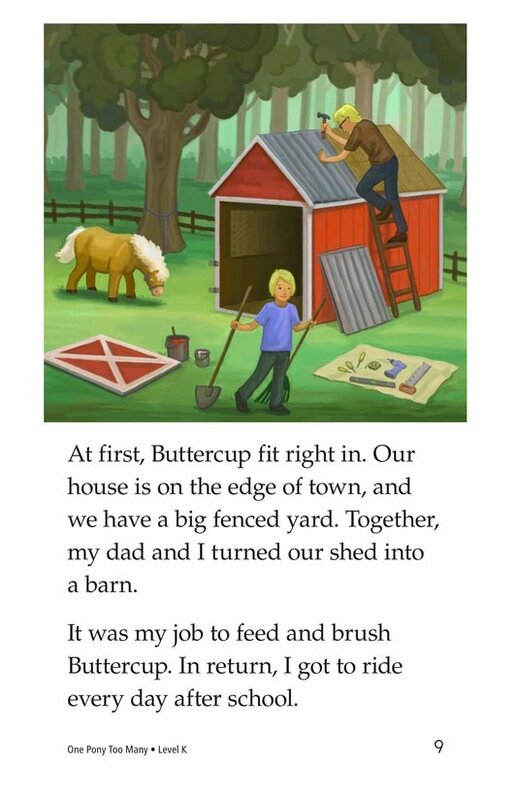 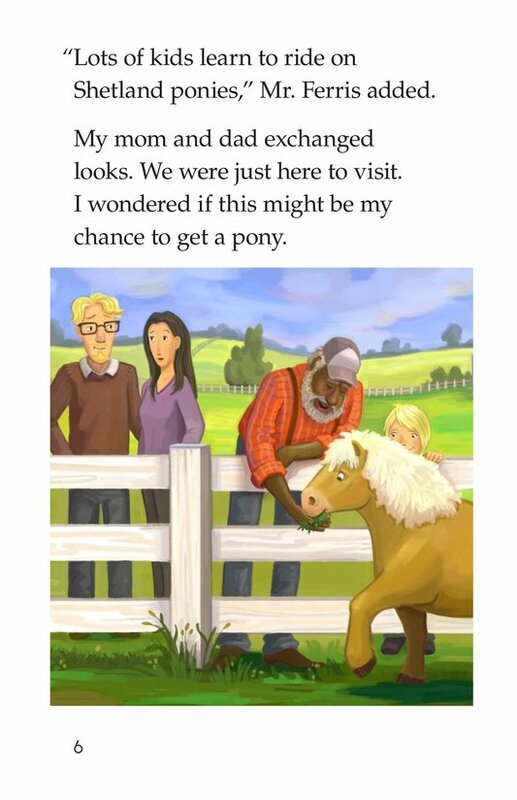 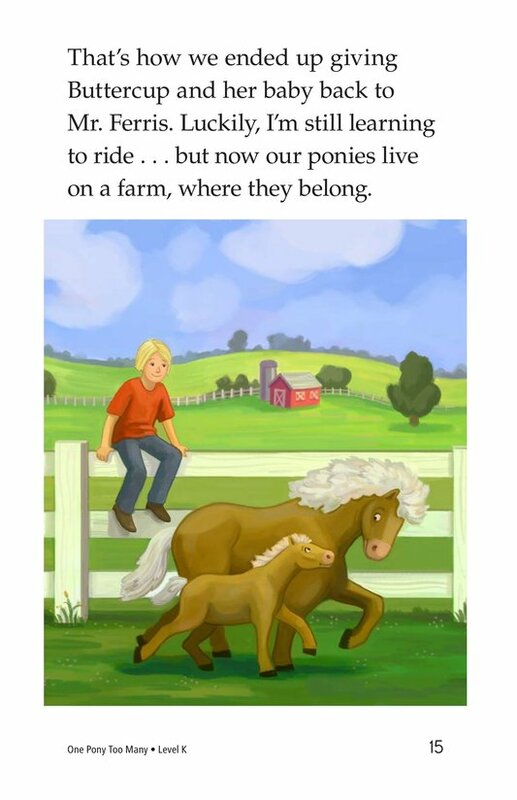 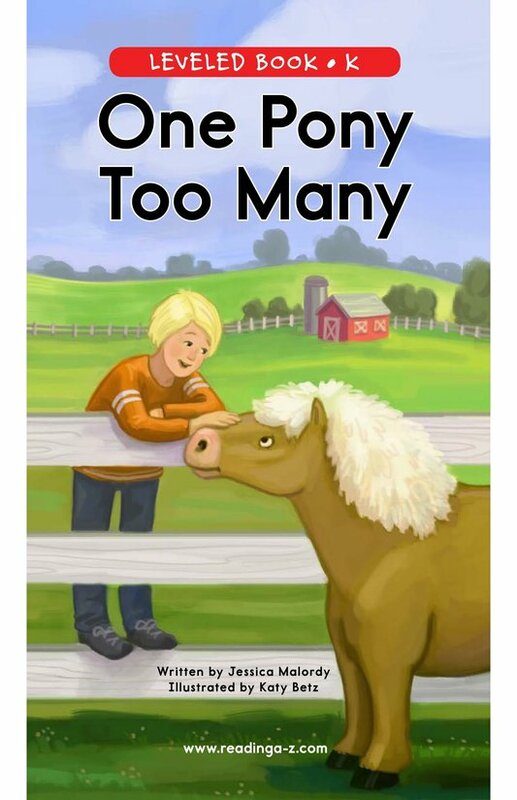 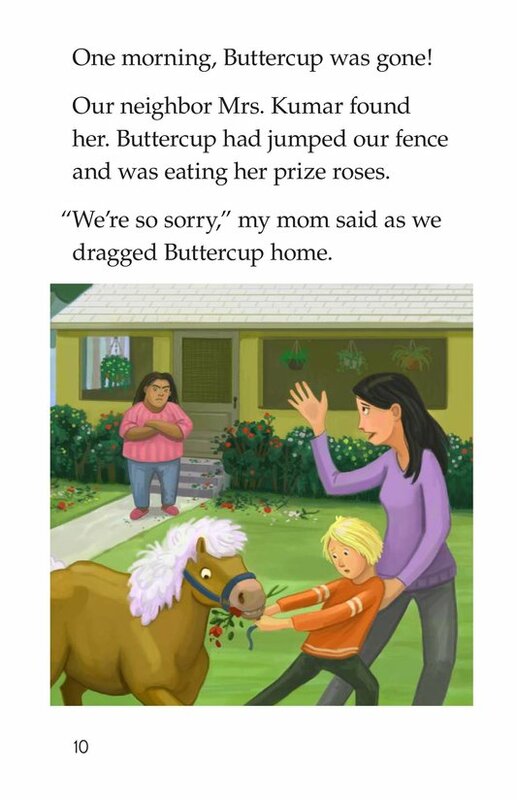 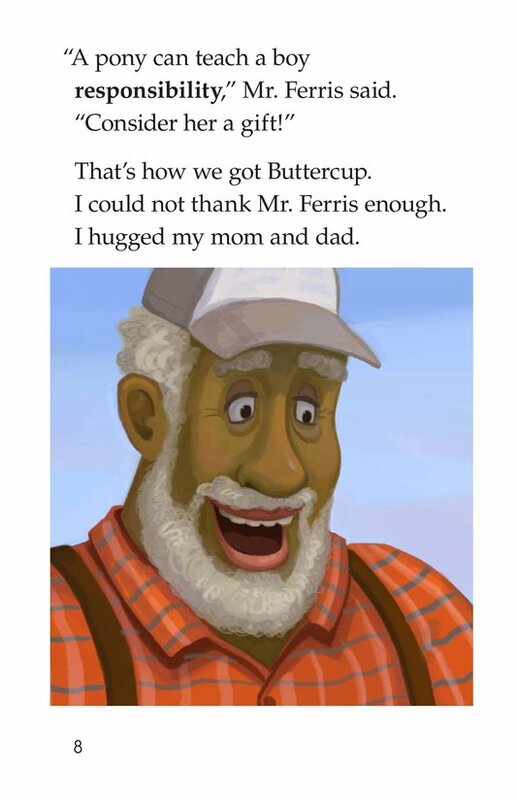 One Pony Too Many is the charming story of Buttercup's adventures living in a neighborhood and her eventual happy return to the farm. 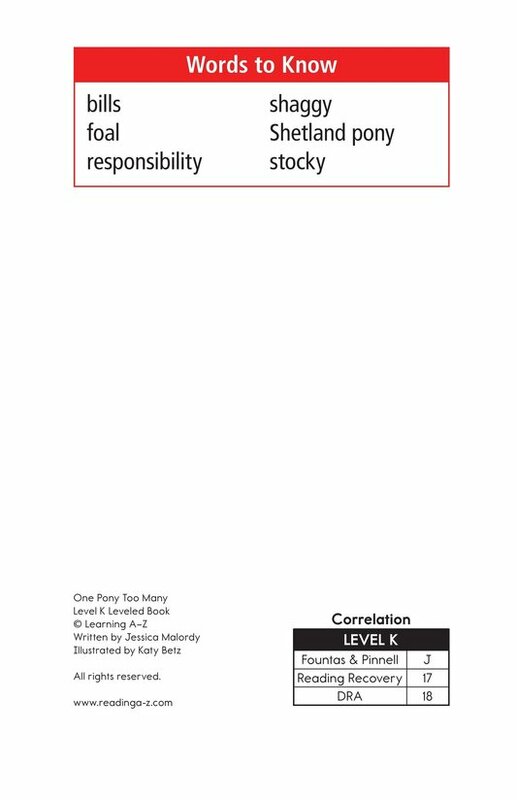 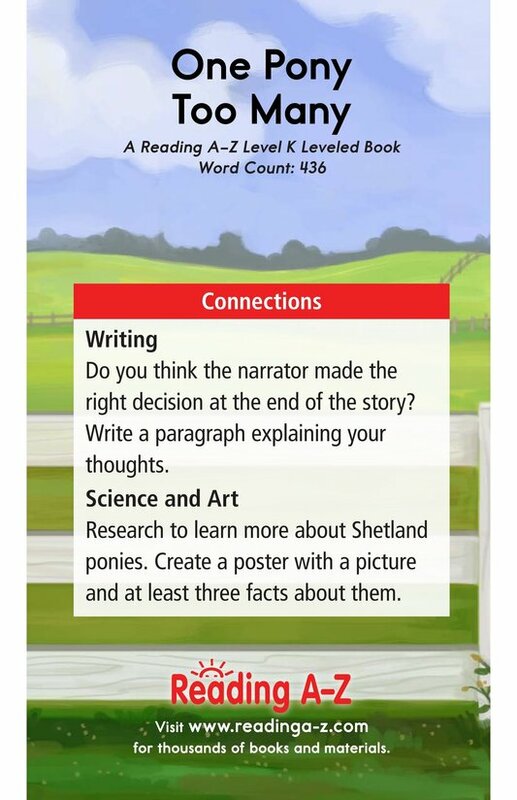 The book can be used to teach students cause-and-effect relationships as well as how to effectively make, revise, and confirm predictions.